The ASME Journal of Electrochemical Energy Conversion and Storage is currently seeking manuscripts for a special issue on heat transfer and thermal management in lithium-ion cells (Li-ion) and battery packs. The deadline to submit a paper to be considered for publication in the issue, which is expected to be published this November, is Aug. 15, 2019. Li-ion cells and battery packs are being widely investigated for energy conversion and storage in applications such as transportation, grid energy storage and aerospace applications, among others. In general, however, heat transfer in Li-ion cells is a challenging, multiphysics problem due to the close coupling between heat transfer and electrochemistry in the cell. In addition, this is a multiscale problem, encompassing heat transfer at the scale of electrode materials all the way to thermal management of large battery packs. A complete understanding and thermal optimization of these devices and systems requires not only a fundamental understanding of heat transfer physics, but also robust engineering techniques for designing and optimizing effective thermal management of cells and packs. For this reason, ASME Journal of Electrochemical Energy Conversion and Storage will devote a special issue focusing on heat transfer and thermal management in Li-ion and battery packs. In conjunction with the special issue, a special symposium to discuss advances in this area is scheduled to take place during the ASME Summer Heat Transfer Conference and the 13th International Conference on Energy Sustainability, from July 15 to 19, 2019, in Bellevue, Wash. The special issue is intended to cover the entire range of heat transfer research relevant to Li-ion cells, with equal emphasis on both experimental and theoretical research. The journal is seeking manuscripts addressing a variety of topics including measurements of thermal properties of materials, devices and components; microscale thermal transport modeling and measurements; novel thermal management approaches; run-time battery thermal management; modeling and measurements related to thermal runaway; thermal design and optimization of cells, components and packs; and coupled thermo-electrochemistry of Li-ion cells. 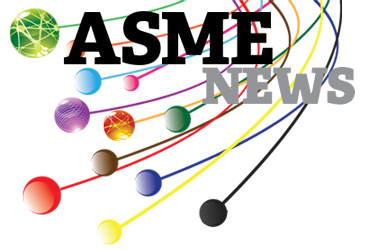 Papers should be submitted electronically to the Journal of Electrochemical Energy Conversion and Storage through ASME Journals Connect by Aug. 15. Authors who already have an account should log in as an author and select “Submit Paper” at the bottom of the page. Authors who do not yet have an account should select “Submissions” and follow the instructions. Authors should then choose Journal of Electrochemical Energy Conversion and Storage when they reach the Paper Submittal page and choose the special issue “Heat Transfer and Thermal Management in Li-ion Cells and Battery Packs.” Papers received after the deadline or papers not selected for inclusion in the special issue may be accepted for publication in a regular issue. The editors for the special journal issue are Ankur Jain, Ph.D., associate professor, Department of Mechanical and Aerospace Engineering, University of Texas at Arlington, U.S.A., jaina@uta.edu; and George J. Nelson, Ph.D., associate professor, Department of Mechanical and Aerospace Engineering, University of Alabama in Huntsville, U.S.A., george.nelson@uah.edu. 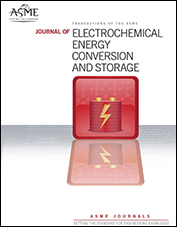 For more information on the ASME Journal of Electrochemical Energy Conversion and Storage, visit https://journaltool.asme.org/home/JournalDescriptions.cfm?JournalID=30&Journal=JEECS. To review the Information for Authors for the ASME Journal Program, visit www.asme.org/shop/journals/information-for-authors.